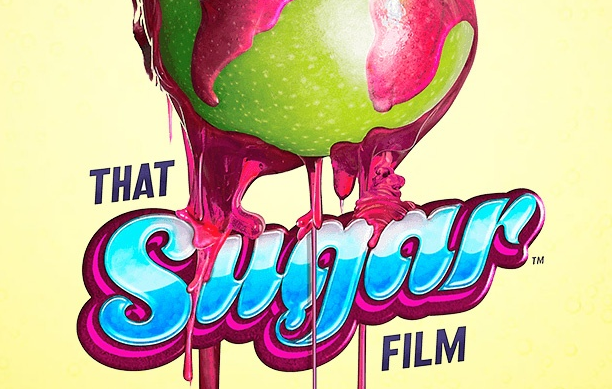 Recently, I saw “That Sugar Film” and was keen to share it with you on the CHANGE Health Blog. I asked my dietitian colleagues to watch it and give me their thoughts. Thanks to Audrey Inouye, Registered Dietitian for contributing. In his fabulous new documentary, “That Sugar Film,” Damon Gameau documents the effect of a high sugar diet on his healthy body by consuming only foods that are commonly perceived as ‘healthy.’ He shows how sugar is added to almost every food product on the grocery shelf and is cleverly disguised using a variety of names. Watching this movie will change the way you think of ‘healthy’ packaged foods such as granola bars, juice, and cereal, and make you take notice of where added sugar lurks. Over a two month period, Damon ate 40 teaspoons (3/4 cup) of sugar each day, equivalent to the Australian national average. He gained 20 pounds, showed early signs of fatty liver disease, grew his waist circumference by 10 cm, and his triglycerides went up by 30%. This is consistent with the research that associates excess sugar with heart disease, stroke, obesity, diabetes, and high cholesterol as well as cancer and dental caries. Are you having too much sugar too? The other changes Damon experienced are things that I as a dietitian hear often. Similarly to Damon, people often talk to me about mood swings, not feeling full, feeling lethargic, difficulty exercising, intense sugar cravings, and fruits and vegetables being neither satisfying or sweet enough. Do you feel this way sometimes as well? Is it possible that you are eating too much sugar too? Added sugar refers to any sugar that is added to packaged foods or that you add yourself (like in your coffee). It doesn’t include the sugars that are naturally occurring in fruits, vegetables, dairy products or grains. Unfortunately in Canada, the nutrition labeling system makes it impossible to tell what is added and what is naturally occurring. With that said, it is safe to say that most of the sugar found in processed foods like cookies, cereal, and granola bars, is the added type. 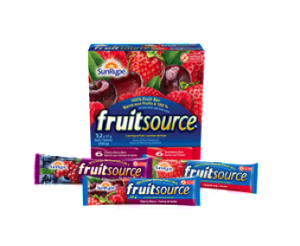 The sugar from juice, even 100% fruit juice, is counted as added sugar and I put juice beside sodas on the list of sugar sweetened beverages. According to That Sugar Film, it takes the juice of 4 apples to make 1 cup of juice. You get all of the sugar, but the fibre is left out. One cup of 100% fruit juice contains 6 teaspoons of sugar, equivalent to the amount of sugar in one cup of coke. Look on the Nutrition Facts panel and scroll down. Sugar is found under Carbohydrates and is measured in grams. To convert grams of sugar into something visual, take the number of grams and divide by 4 to find out how many teaspoons of sugar are in that item. This Sunrype Fruit Source 100% Fruit Bar contains 29 grams of sugar. Divide this by 4 and you have 7 teaspoons of what is considered added sugar. Compared to an apple, this bar contains twice the calories, twice the sugar and half as much fibre. Here’s another example of how an item that is marketed or perceived as being healthy, is really not. In an effort to rebrand sugar, food manufacturers use many different names to trick us into thinking the product is healthier. Foods such as brown rice syrup, agave, cane sugar, barley malt, organic coconut sugar, dextrose, cane juice crystals, and cane sugar are often dolled up with photos of nature on their packages to hint that they are healthy, but don’t be fooled. Sugar may have 100 different names, but it is still sugar. Drink water instead of juice or other sugar sweetened beverages. Here’s an article from Health Castle about the Hidden Calories in Drinks -http://www.healthcastle.com/drinks_hidden_calories.shtml. Choose foods that don’t need a label and shop around the perimeter of the grocery store. Check out Slim by Design by Brian Wansink – www.slimbydesign.org. Notice the sugar content on the nutrition facts panel and look for sugar under the ingredients. 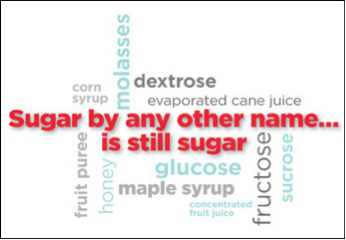 Here’s a list of 57 names of sugar – http://www.prevention.com/food/healthy-eating-tips/57-names-sugar. Track of what you are eating for a few days using an app such as My Fitness Pal, Lose It or Spark People to find out exactly how much sugar you are eating. Prepare food at home rather than eating out. Darya Pino Rose has great ideas in her book The Foodist. Watch That Sugar Film and invite your friends and family to join you. You can download on Hoopladigital, Google Play or iTunes. A challenge and a test! Challenge #1: I challenge you to record your food and drinks for two days and post your sugar intake here. Challenge #2: Add up the number of grams of sugar you and your family members eat from packaged foods in one day and post it here. Test: Post the sugar content (teaspoons or grams) of your favourite Booster Juice. Post Written by Audrey Inouye, Registered Dietitian, edited by Dr Doug Klein. Photo of That Sugar Film from Damon Gameau.